Thought Forms celebrate the ten year anniversary of their classic self-titled debut album with a reissued version plus a handful of gigs. Hailing from England’s rural South West, the trio were brought together amongst the ley-lines and ancient vibrations by a shared love of guitar abuse and pedal worship. 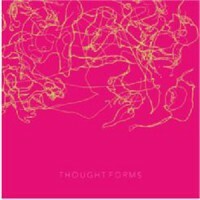 Thought Forms are a true band’s band, having toured extensively with Portishead, recording this debut record in Geoff Barrow’s studio and finally releasing it on his label Invada Records 10 years ago. Thought Forms have also played with Kaiser Chiefs and 65DaysOfStatic and have featured on the Ivor Novello winning score to ‘Ex Machina’. This most progressive and forward-looking of bands take a rare moment to breathe and reflect on their early days and in particular their classic debut album.